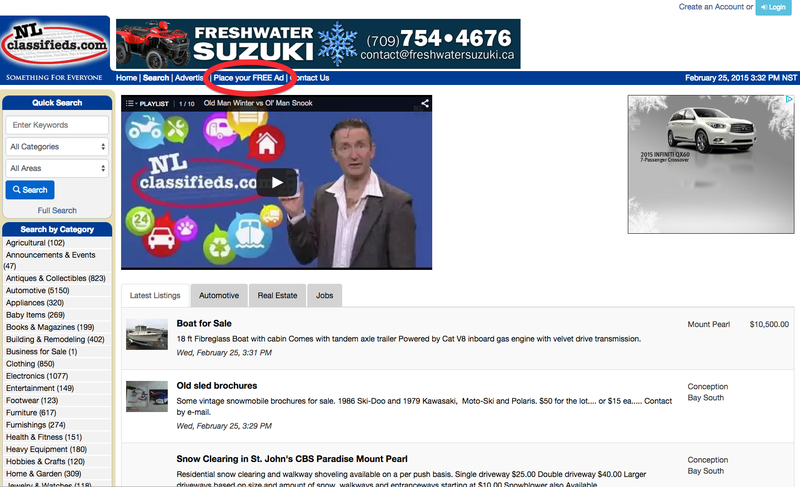 Go to www.nlclassifieds.com in your chosen web browser. 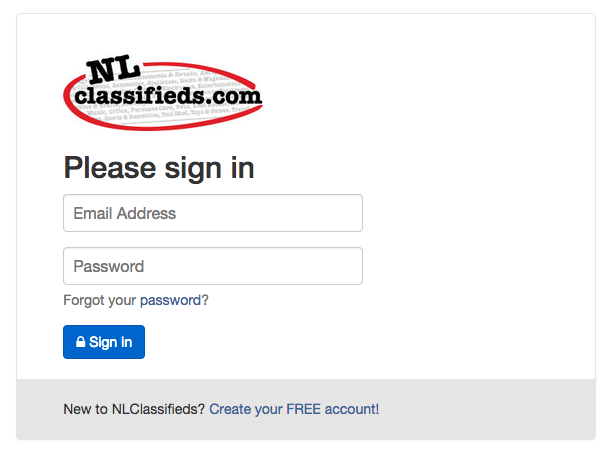 If you are not already signed into your free NL Classifieds account, you will be prompted to do so at this step. If you do not have a free NL Classifieds account/login, click “Create your FREE account” and follow the steps to do so. 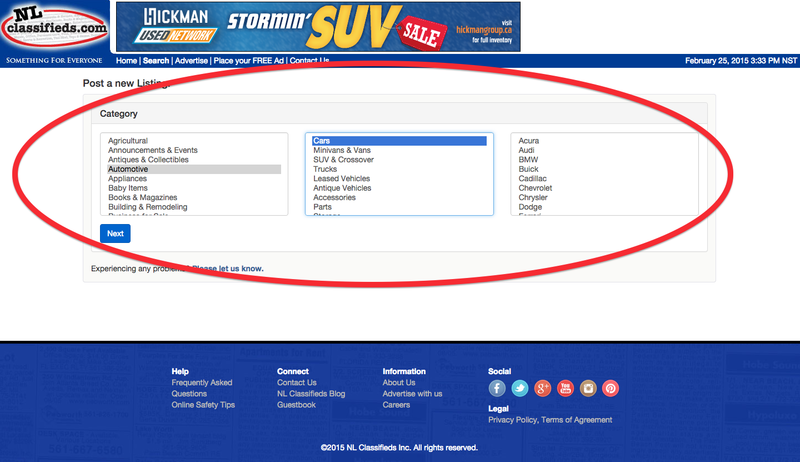 Select the Subcategory for your item - this next menu and its options will reflect the Category you selected in Step 5. Select a further Subcategory if applicable - some Subcategories within Step 6 do not have further levels of Subcategories to choose from. i.e. 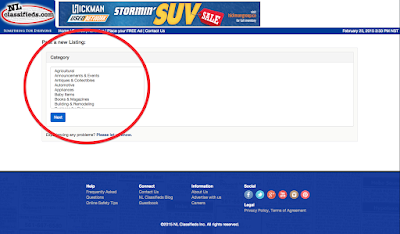 Announcements & Events is a two tiered Category while Automotive is a three tiered Category. When satisfied with Category and Subcategory selections, click the blue button “Next” below the categories and subcategories. Now you will be prompted to click either “Offering” or “Wanted”, choose whichever is applicable. 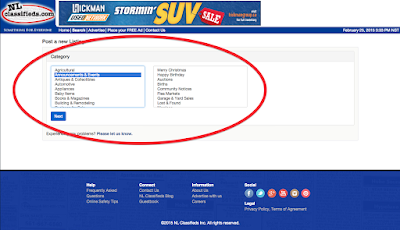 Fill in your contact information; a phone number OR email is the minimum requirement as other users need at least one way of contacting the poster (you). 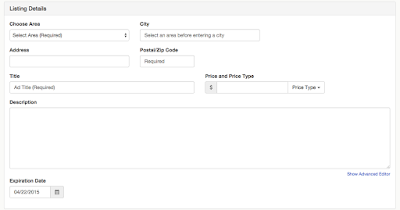 Select the area and city/town where your item is located as well as your postal code, ad title, and ad description. 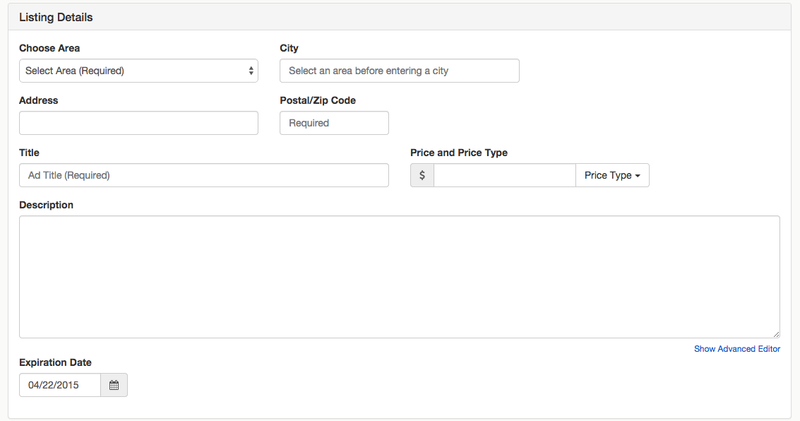 Your address, price and price type are all option fields here. 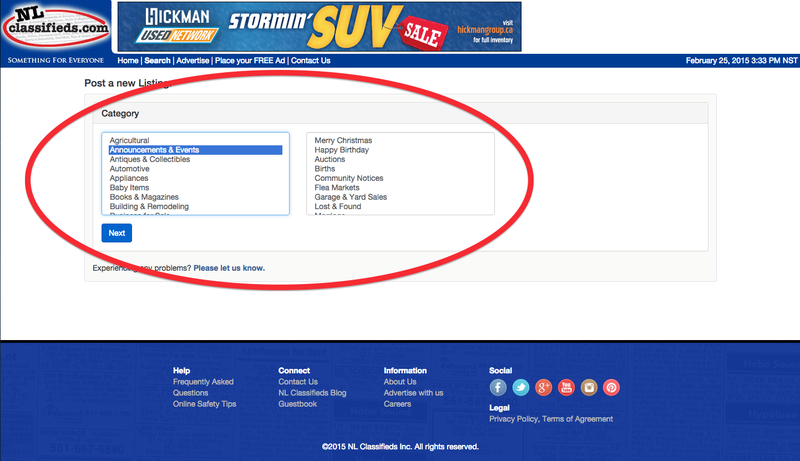 The expiration date of your listing will automatically be set to the maximum permitted of 8 weeks from the current date. If you wish for this to be sooner, you can absolutely adjust this - the expiry date must however, be a date in the future and cannot be the current date or any date in the past. 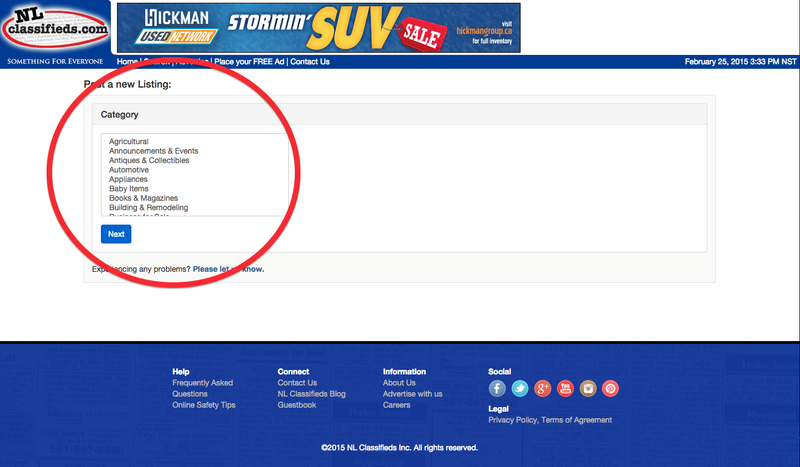 If uploading images to the listing, click the button reading ‘Upload Images” and locate the desired photos on the device in use. More than one image can be uploaded at a time. Once completed and the image status bar reaches 100%, you are ready to finalize the listing. If any steps were missed or completed incorrectly, the next page will list the fields that need fixing in red font at the top of the page. Address all errors and proceed.